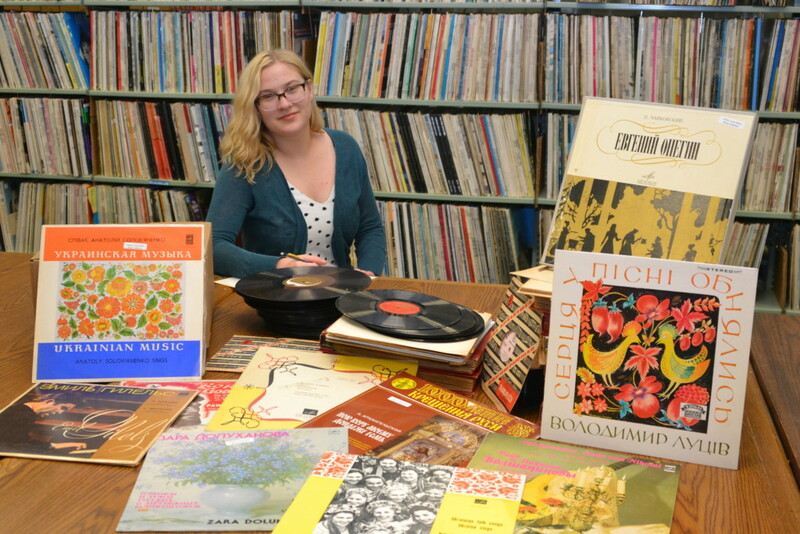 BOCA RATON, Fla. (Feb. 1, 2016) ─ A year before Ekaterina Pervova graduated from Florida Atlantic University, she went to the Wimberly Library’s Recorded Sound Archives (RSA) and inquired about a volunteer assignment. One of the 19-year-old’s first assignments was translating the titles of classical music recordings from Russian into English. Pervova, who was later hired as a student worker at the RSA, can’t imagine a more rewarding use of her free time. Volunteers have always been an integral part of FAU Libraries, but a couple of years ago, the Wimberly Library’s staff noticed more students were inquiring about volunteer assignments. Carol Hixson, Dean of University Libraries, supports such involvement, and in fact, has organized a program to recruit and involve students in meaningful volunteer roles throughout the library. The RSA, a robust digitization operation for all types of sound recordings that have been gifted to FAU, was a perfect match for Pervova. She credits her grandmothers, one a nuclear physicist and the other an economist, with introducing her to art at an early age. Both grandmothers love music, enjoy opera and the ballet, and always had the TV on an entertainment show when Pervova visited. Many of the recordings that Pervova translates for the RSA are folk songs from 1910, while others are from the early 1950s and 1960s. She remembers hearing many of the recordings during childhood and at family celebrations in Russia. “When I see something I know, I start humming it and I think back to a time when I heard that song,” said Pervova. The biggest challenge Pervova faces while translating the music titles is trying to find a word-for-word translation. Many of the songs she is translating are about the culture of the Russian people and do not make sense outside of the Russian culture. She knows where to go for help, though. “I often Skype my grandma while I’m translating to show her a particular record and when she sees it, she is delighted and she says ‘Oh! I know that one,’” said Pervova. The RSA will add the titles of the approximately 100 rare recordings that Pervova is translating to its database once the work is completed. Pervova will also translate the RSA’s Finnish labels into English. The recordings will be digitalized and made available on the RSA’s research station for professors and students. Pervova said it’s her small way of giving back to the FAU campus, where she has studied since she enrolled in the Alexander D. Henderson University School in fourth grade. When it was time for ninth-grade, she was accepted into the academically-rigorous FAU High School, which offers students a chance to earn three years of college credit on FAU’s main campus. She plans to graduate from FAU in the spring of 2016 with a bachelor’s degree in psychology. Tammy Ferguson, director of the A.D. Henderson University School/FAU High School, said she is very proud to say that “giving back” is part of the culture that has been created at the Henderson University School and FAU High. After graduation from FAU, Pervova would like to continue here for graduate school at FAU and work as a researcher on the FAU campus. Eventually, she would like to work for the Centers for Disease Control in Atlanta. Pervova would like to focus her research on Brain Syndrome and dementia” and her ultimate goal is to find a way to help people with organic brain syndrome. “Everything about the brain fascinates me, including its adaptability, its plasticity, its ability to modify and regulate itself through interactions with the environment,” said Pervova. “I used dementia as an example because it is a very hot topic in the field. There are many different types of dementia, but the most common types are Alzheimer’s and vascular. For more information on student volunteer opportunities at FAU Libraries, call 561-297-6911. 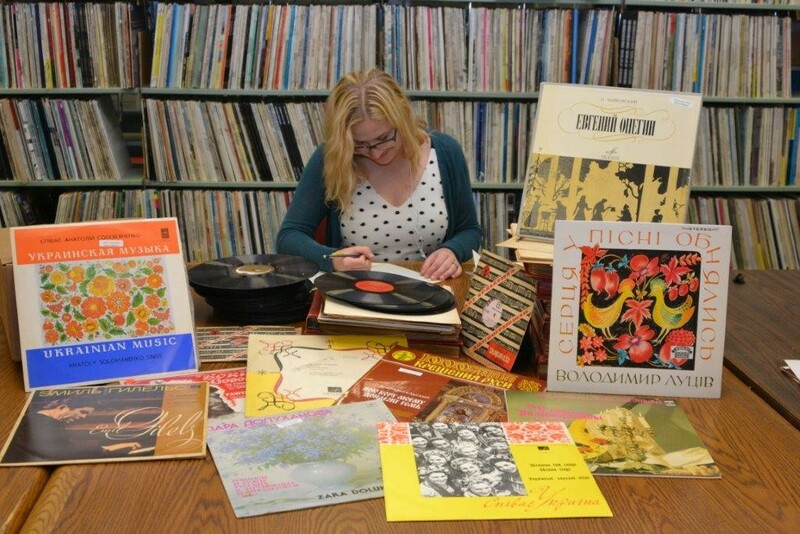 Call 561-297- 0080 for student volunteer assignments in the Recorded Sound Archives. Passover marks the liberation of the Israelites from 400 years of slavery in ancient Egypt. Moses tried to convince Pharaoh to let the Israelites go free with words and demonstrations of God’s AWESOME power. When Pharaoh wouldn’t concede, Moses proceeded to bring about the 10 plagues. You can read more about the plagues, here. The 10th plague, the death of every Egyptian first born including Pharaoh’s young son, was too much for Pharaoh and he finally let them go. God instructed the Israelites to mark their doorposts with the blood of a slaughtered lamb so that he would know to pass over those homes. This is where the name Passover comes from (Exodus 12:11-13). There are actually three other names for this holiday: Holiday of Matzot, Holiday of Freedom, and Holiday of Spring. But on this holiday, we celebrate the gift of freedom, remember Jewish history through special Seder foods and teach the lessons of the Haggadah (The Telling) to the next generation. 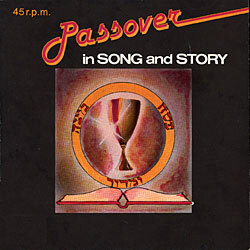 And this year, the Recorded Sound Archives invites you to add music and song to your family’s Passover traditions and has put together a collection of over 40 recordings for you to enjoy with family and friends this Passover. 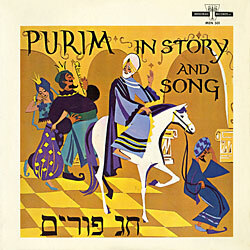 Celebrate Purim with music from the Recorded Sound Archives! PURIM, which, in English, means [drawing] LOTS, is about the book of Esther which is also known in Hebrew as Megillah (the Scroll). It is a book in the third section of Ketuvim (Writings) of the Jewish Tanakh (Hebrew Bible). It relates to the story of a Hebrew girl in Persia, born as Hadassah but known as Esther (niece of Mordechai), who becomes Queen of Persia and thwarts the genocide of her people by the wicked Haman, a high official in the court of King Achashverosh. Haman sought to annihilate all the Jews, Mordechai’s people, throughout King Achashverosh’s’ entire kingdom. For Haman plotted against the Jews to destroy them, and he cast a “pur”, which is a LOT, to shatter and destroy them. For this reason, they call these days “Purim,” after the pur. The story forms the core of the Jewish festival of Purim, during which it is read aloud twice: once in the evening and again the following morning. A Purim party often takes place during this time where children dress up in costumes usually relevant to the story of Purim. It’s a fun time for everyone including adults! 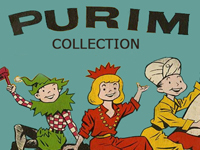 Here at the Recorded Sound Archives, we have put together a collection of over 20 recordings for you to enjoy with family and friends this Purim. 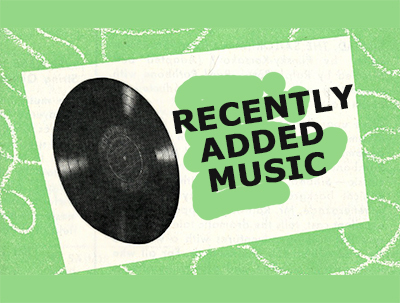 Below you’ll find a list of recordings that were recently added in March from requests made by Research Station Users. *Please note, due to copyright some of these recordings may only play for 45 second snippet to give the user a taste of what this music sounded like back in the day, if you are interested in full access considering applying for Research Station Access. Access to Research Station is limited to educators, students and serious researchers. Happy 169th Birthday Thomas Edison! This past week marks Thomas Edison’s 169th birthday! Thomas Edison invented the phonograph, the very first device for recording and playing back sound, in 1877. Early machines were sold to entrepreneurs who made a living out of traveling around the country giving “phonograph concerts” and demonstrating the device for a fee at fairs. 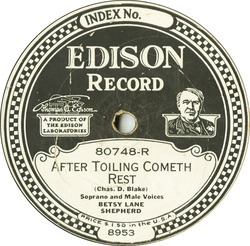 Here at the Recorded Sound Archives, we have a collection of over 70 Edison Records which can be listened to online. To listen or learn more about Edison Records, click here. 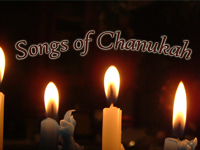 The Recorded Sound Archives has digitized a collection of cantorial music by Cantor Shloimele Rothstein , one of over 260 Cantorial voices to choose from in the RSA’s Cantorial Collection. 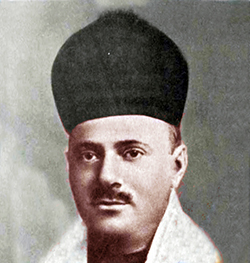 Born in Bessarabia on May 1, 1891 in the town of Falesty. He was the first Cantor to sing on KDKA radio in Pittsburgh in 1926 and was contracted by Columbia Grafonola to produce phonograph recordings along with being Cantor at Synagogue B’nai Israel in Brooklyn, NY. Shloimele’s only teacher was Jerome Hayes of whom he learned several operas with. As a result, he was offered the leading tenor role in “La Juive” by an Opera Co., but refused the offer to give his attention to the Synagogue, Phonograph and Concert work. He passed away on October 19, 1966, at the age of 75. He is also known as Shlomo Rothstein, Sol Rothstein & Solomon Rothstein. To listen the voice and recordings of Shloimele Rothstein, click here. To discover other cantorial voices, please visit the Recorded Sound Archives Cantorial Voices collection.